Flat rides are definitely cooler. Greg, Matt, and I headed out for what was supposed to be a calm ride. Naturally, it wasn't...as though the spirit of Dave himself were watching over us. 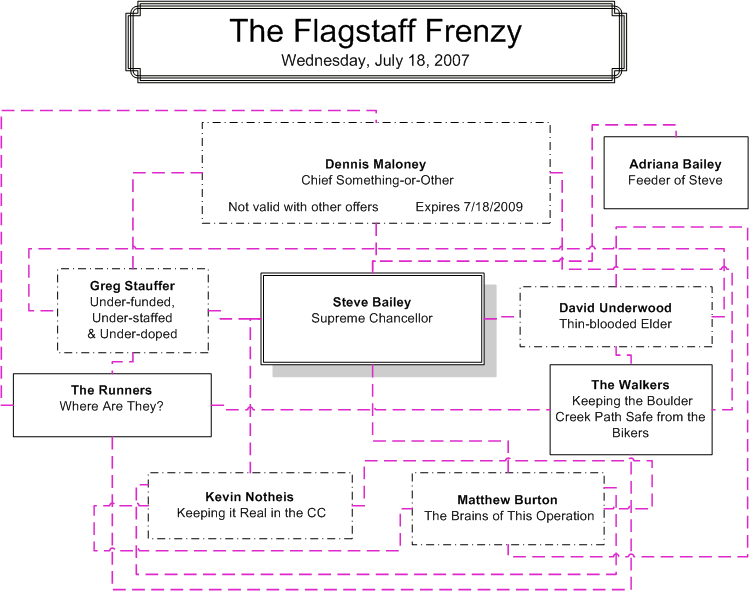 Anyhow, one correction to the org chart above: Greg should also be "King of the Sprints". He whupped me again today.